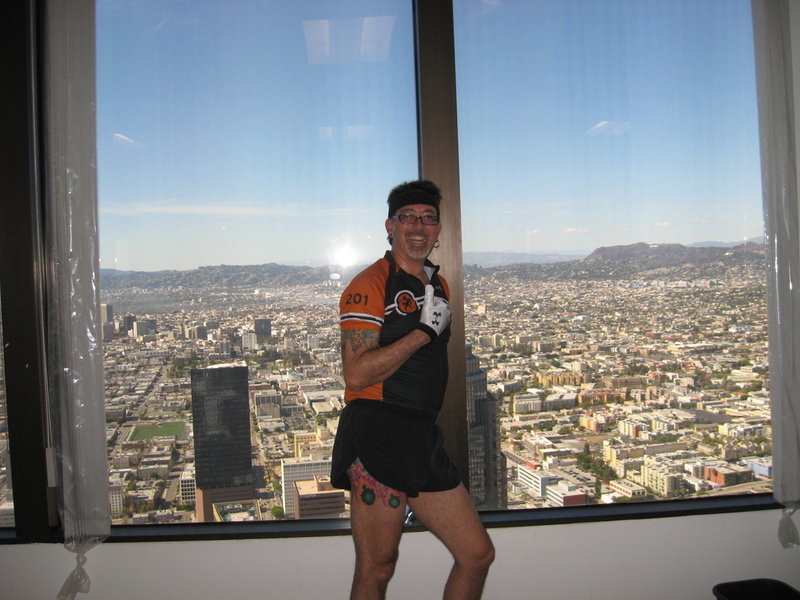 It’s Thursday, and I was able to go downtown at lunchtime to do stair practice at the Aon building. That’s the usual practice climb from 4 up to 60. Today was my second time climbing with the sticky football gloves. I decided that when I’m using them, I sound like a dog playing with a toy. Lots of panting and little rubber squeaky noises. But they work really well for getting a good grip on the railing to help pull me up the stairs. So that’s a good thing. When I got there, Theo was there. He is very fast, but he likes to walk down to the ground-level door to start. So when we got to the 4th floor, he went to walk down, and I headed up. My goal was to make it to 60 before he caught me. I’m getting pretty good at the footwork to change leads so that I equalize the loads on each leg. Since most of the flights are 11 steps, that means that one leg will work harder than the other when you do double steps. So I’ve worked out a way to switch which leg leads off so that I even out the load. And I can feel the difference. It’s getting close to being automatic, which is a good thing. And it’s also good in that I switch leads every even-numbered floor. So that’s a useful mental distraction. When I get to 6, I think about having to switch leads, and that I don’t have to switch again until 8. I don’t think about having 54 more floors to go. So that distraction is a Very Good Thing. I had a look at my watch at the halfway point at 32, and I was just under 5 minutes. So that meant I was on track to do a time just under 10 minutes. And when I got to 54, I had another look, and it was just under 9 minutes, so I knew I had to hit it to have a chance to beat my time from Tuesday. Also, I was concerned that Theo was going to catch me. So I managed to put on a burst of speed for the last few floors before coming out on 60 and doing the traditional face-plant on the floor. 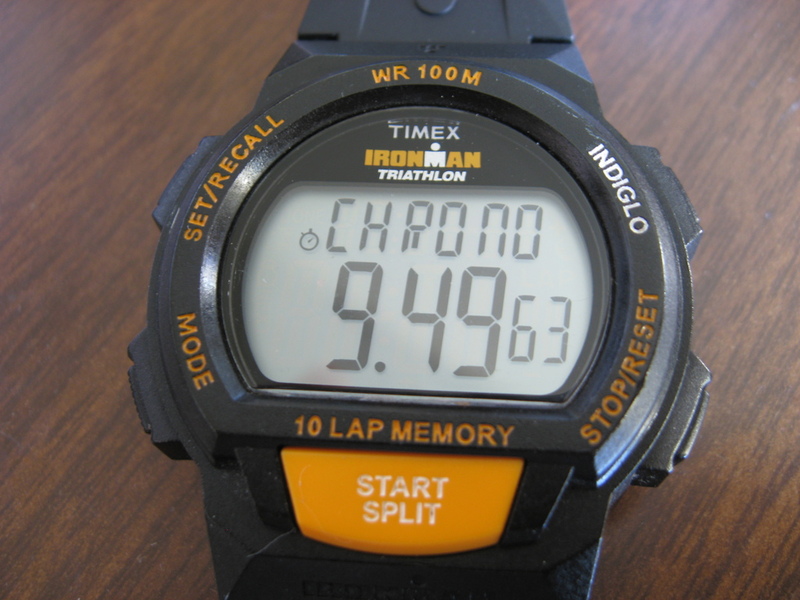 When I looked at my watch, I had 9:50, which is 2 seconds slower than on Tuesday. And like I said before, this is a bit creepy. But no matter. This year, I’m doing times that I thought would be impossible last year. So there’s really nothing to complain about here.